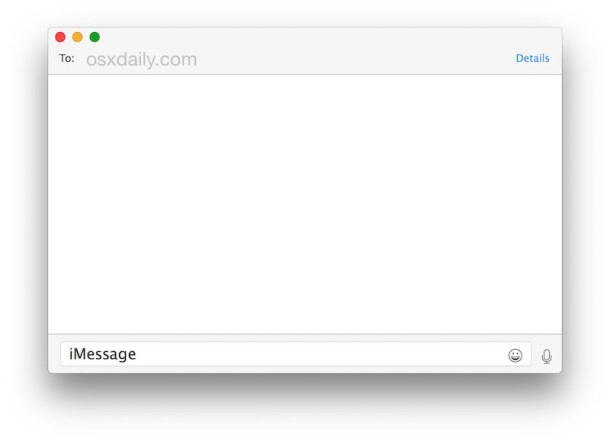 The Mac Messages app maintains a transcript of conversations that have been carried out on the computer, thus when you open a message window to a particular sender, you’ll see the prior conversations, pictures, and other sent/received data in the same message thread. 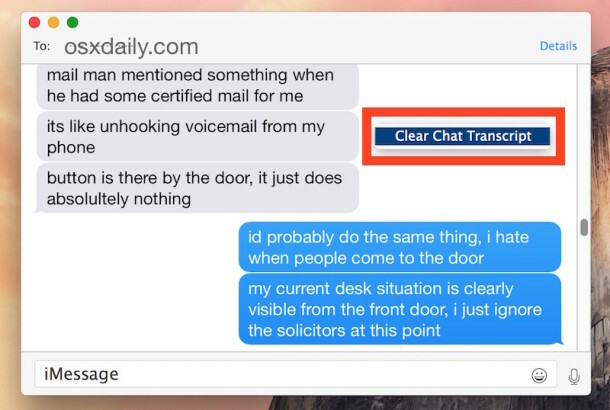 If you’d like to clear out these conversations transcripts and related media, you can quickly do that without having to clear all Messages app chat history logs from the entire application. Remember, this removes all messages, photos, videos, and other media sent and received in that conversation, so if you have media or photos you want to save from a Messages thread, be sure to do so before clearing the transcript, because clearing the chat can’t be undone. 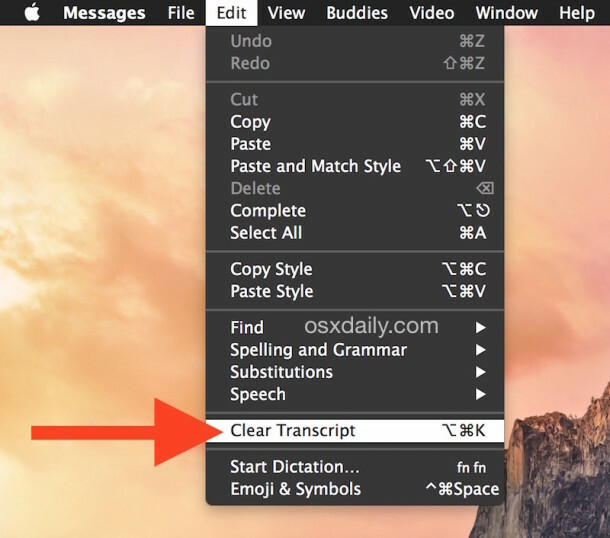 Another way to clear a chat transcript is by selecting a conversation in Messagse app, then going through the Edit menu to choose “Clear Transcript”. I use this all the time to delete message threads on the Mac since they take up a lot of space with photos and stuff coming from the iPhone syncing thing, I wish Apple would put the photos into the cloud for you so that you don’t need to store them locally on both iPhone and Mac (and iPad) with every message, certainly carries a ton of extra baggage for no particular reason. BTW I found that conversation to be funny, I also ignore anyone that comes to my door. Everyone laughs at me like I’m rude or the only one, but honestly, I’m working, nobody is paying me to talk to a solicitor or whoever else is at the door! If I’m not expecting you, it’s not happening. I think this applies to everyone in a small office or work from home situation. There is no option to auto-delete logs after x days. That would be really useful. Why is there no such feature? This is very complicated to use, with this workaround. Also users can not be sure to catch all logs. Every workaround that requires manual action is sub-optimal. Apple, can we please have proper control over chat logs?